Luxury is spelled with two R's. "Smaller" and "less expensive" are relative terms when it comes to a Rolls-Royce. That the words can even used in the same sentence may come as a surprise, but so it is with the ultra-luxury company's 200EX concept car. The vehicle was introduced Tuesday at the Geneva Auto Show. This is the same automaker that produces the stately Phantom -- a car that exudes class with every inch of its frame. At 229.7 inches long and nearly 80-inches wide, that's a lot of class. The 200EX, expected to be on sale in 2010 with a tag of about $250,00 to $280,000, is more than a foot shorter than the Phantom. That's still about seven inches longer than BMW's relatively compact 7 series sedan. 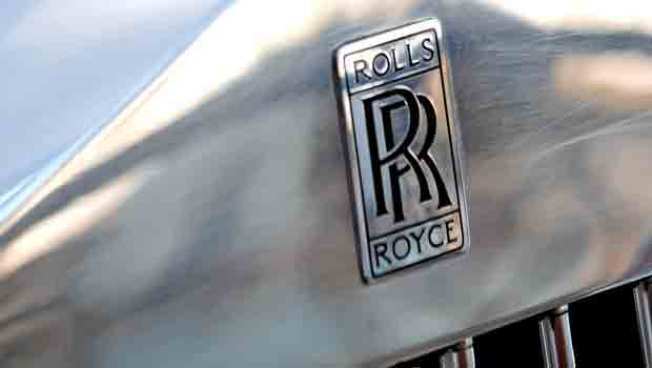 The price tag also needs to be considered in the context of Rolls-Royce. That estimated figure is more than $100,000 less expensive than the Phantom -- an entry-level bargain for the super-rich. "The Phantom might be a tuxedo, and the 200EX a business suit," Iam Cameron, Rolls' chief designer, told the New York Times. "The tailor cuts the cloth the same way, but the suit is different." Leave it to Rolls-Royce's head of design to compare his job to that of a tailor. But one gets the impression this digified automobile was intended to be clad in basic black. The 200EX has its own microsite, complete with an introduction that features a woman dancing in a flowing gown.